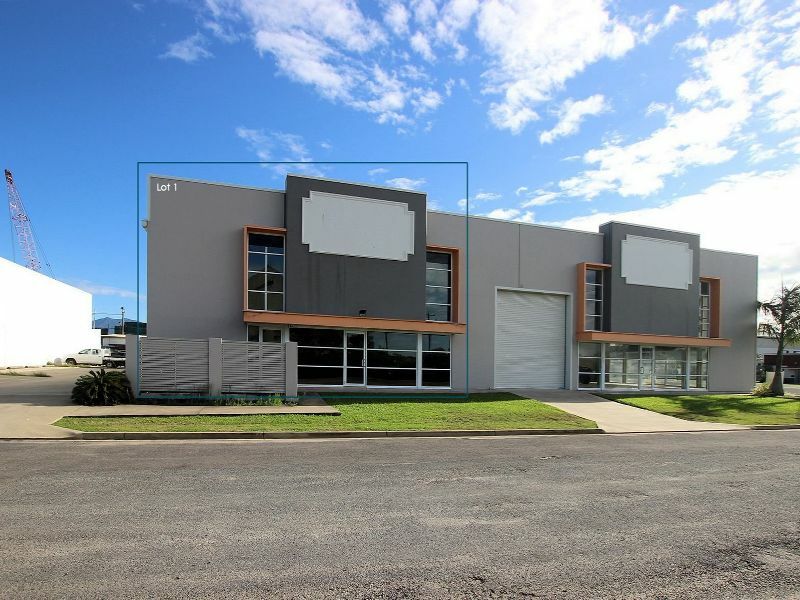 This tilt wall building is sited perfectly with frontage to both Fearnley and Cook Streets in the Portsmith industrial Precinct. Surrounded by marine entities, this well fitted office suite lends itself to a myriad of enterprises associated with that industry or affiliated businesses. The ground floor of 108sqm consists of a reception / showroom, administration area, three offices, lunch room and toilets; while the first floor is given to four more offices and a large boardroom. This building is of a superior finish, is fully painted with tile or carpeted flooring, has suspended ceilings, related electrical and is fully air conditioned. 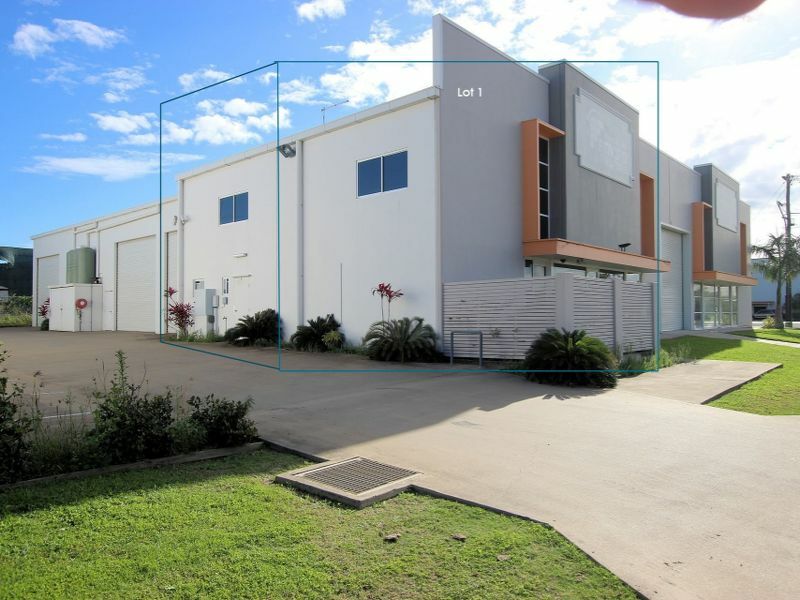 This lot features a 15sqm screened outdoor area and has five titled off street carparks plus an enclosed shared bulk garbage bin room. 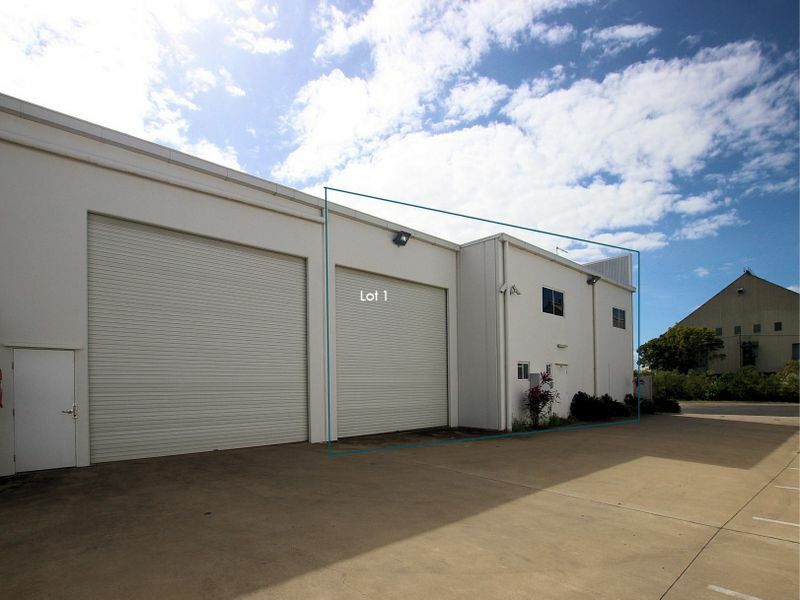 Adjacent to this lot is a dual tenancy warehouse (Lot 2) with an immediately available area for lease of 369sqm including roller door access.